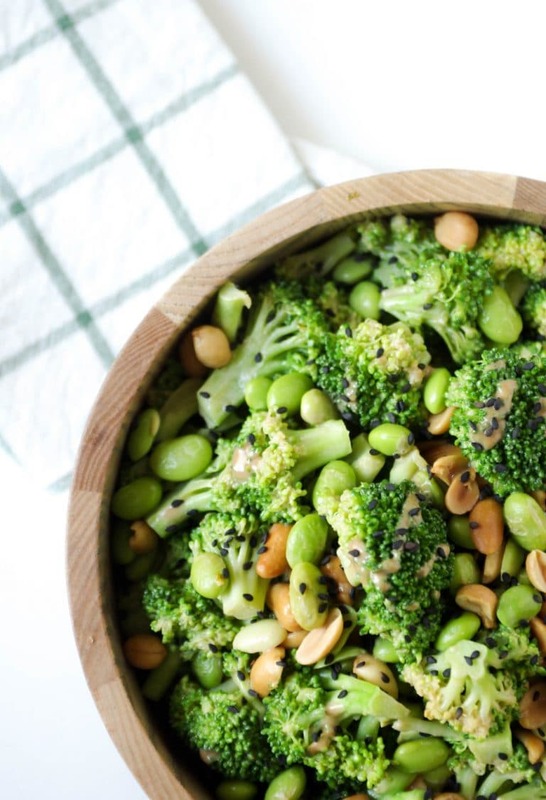 Fresh bright broccoli, protein-packed edamame, crunchy peanuts, and just 15 minutes is all it takes to make this Broccoli Edamame Salad with Peanut Sauce. This morning as the husband and I were shuffling around the kitchen trying to get the coffee ready, oatmeal prepared, and the dog fed. You know, the usual. Octavian did what he does every morning, barricade my path with his little body and stubbornly refuse to move, “Mama, up. Mama, up! MAMAAA! UPPP!” In order to get to my coffee, I obliged and did what I was told. Sometimes, when I hold my dear child he gets so excited that he hugs so tight and excitedly that his hugs also include lots of clawing and pinching and hair pulling. He just really loves me, don’t worry. At least we’ve gotten the biting under control. I stopped, looked at my husband, looked down at Octavian and thought, who are you? when did my baby get so big? 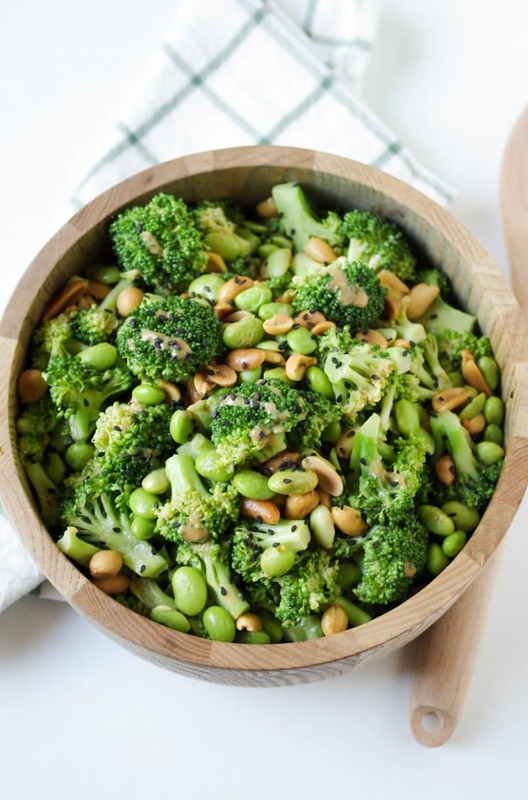 Our morning was followed by this lovely littleBroccoli Edamame Salad with Peanut Sauce in the afternoon for lunch. Octavian loves broccoli, so I was hoping to be sneaky and introduce edamame to him since it, too, is green and would be mixed in with the broccoli. Well, like so many of my sneaky vegetable plans, my not-to-be-fooled toddler wasn’t interested. 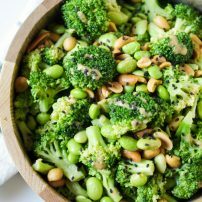 Oh well, more creamy Broccoli Edamame Salad with Peanut Sauce for me. Heat a large pot of water and bring it to a boil. Add the broccoli florets and boil for approximately 1-2 minutes (do not over-boil!) Carefully drain boiling water and transfer broccoli to a large bowl of ice water to stop cooking. 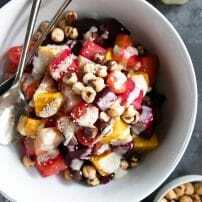 Once cooled completely, drain and set aside in a large bowl. 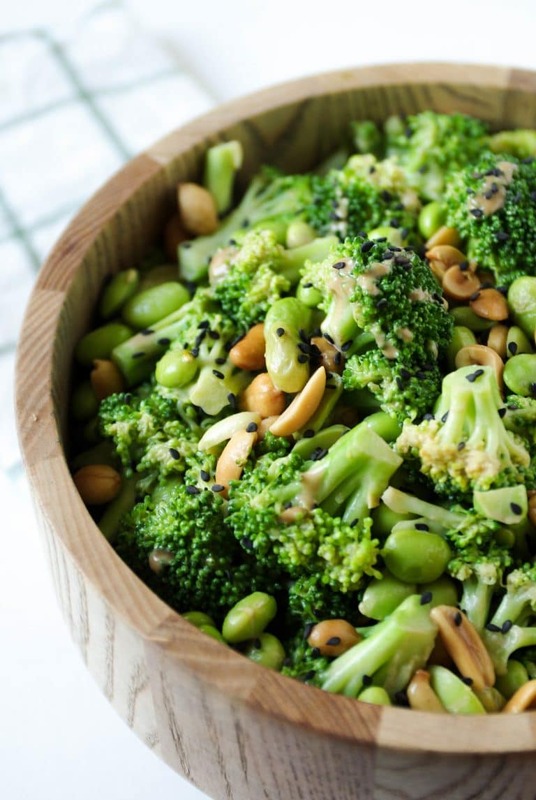 To the bowl of broccoli, add the edamame, green onion, peanuts, and cilantro. Mix well and set aside. 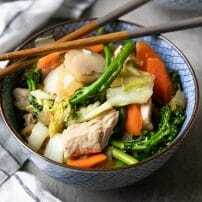 To make the peanut sauce whisk all ingredients together until fully combined. 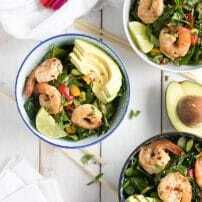 If dressing is too thick, whisk in more hot water one teaspoon at a time until you reach the desired consistency (I find that thicker is a little better). 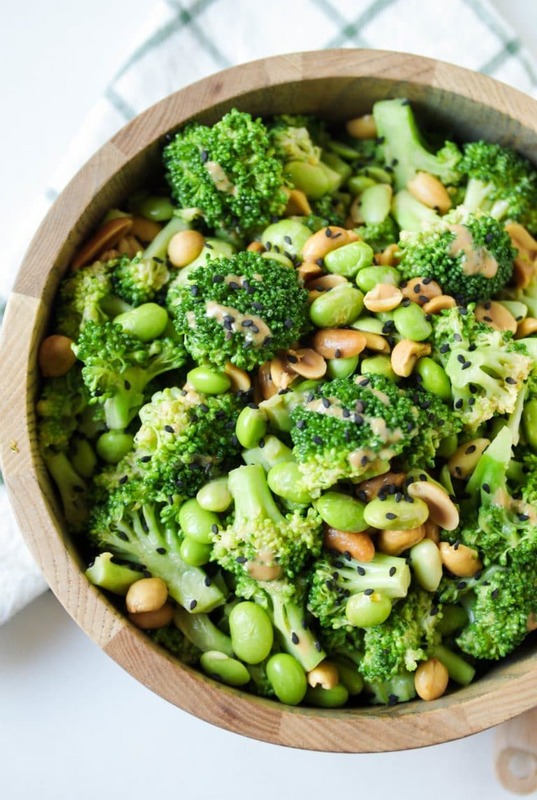 Toss with broccoli salad until everything is completely coated. Add salt and pepper to taste and garnish with white and black sesame seeds, if desired.